This was the first, unofficial, Elseworlds tale from DC Comics back in 1989, and it is great. 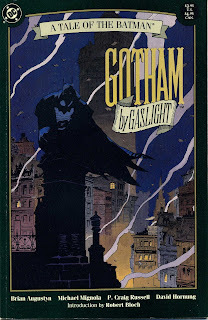 As with the vast majority of DC’s Elseworlds tales, Batman is the character of note in this comic. Set 100 years in the past—1889, at the time of its publication—this comic posits the narrative conceit of what might happen in a Victorian-era Gotham City if Jack the Ripper were to come to these shores and continue his killing ways here in America. Combine this with the emergence of Batman as a dark force of the night, and you have a cross-pollinated story ripe for the telling. Brian Augustyn, known mainly as an editor for DC, does a fine job with the story. 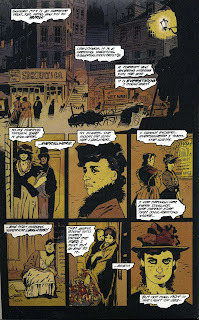 It may be obvious to many, early in the story, who the actual Ripper is, but that does not take away from the finely structured tale he crafted. All the pieces fit, and fit well, with characters we know, such as Bruce Wayne and James Gordon, acting in a familiar manner, even in this different milieu. 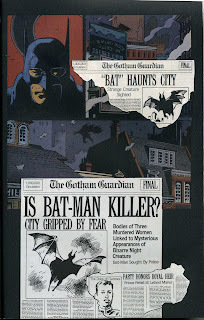 And the confluence of Batman’s appearance with the horrors perpetrated by the Ripper, in the dark, works nicely and makes sense. 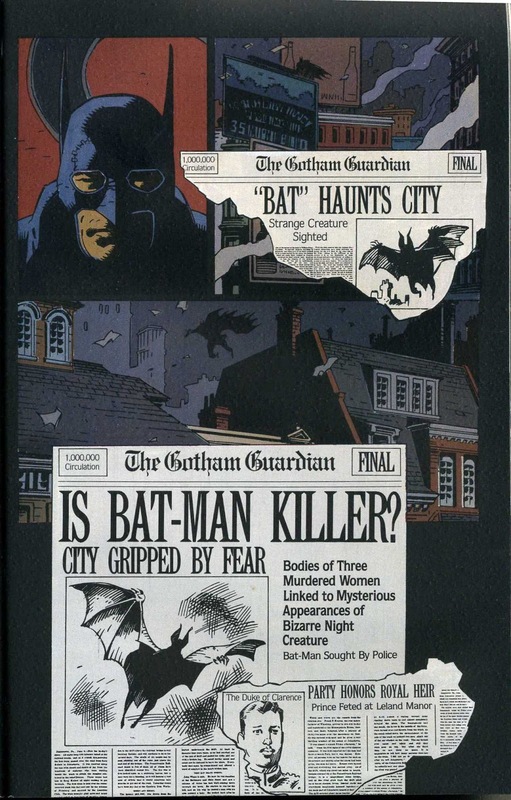 The end comes as a bit of an anticlimax—the Ripper revealed by Batman, he confesses everything to Gordon, apparently so scared and scarred by this Batman that he must confess it all—but that’s a minor quibble. If the story is good, though, the real stars of the book are the artists. Sure, everyone remembers that Mike Mignola drew this, but many may have forgotten the inks were by P. Craig Russell (who also worked with Mignola on one of my favorite DC mini-series of the eighties, the Phantom Stranger). 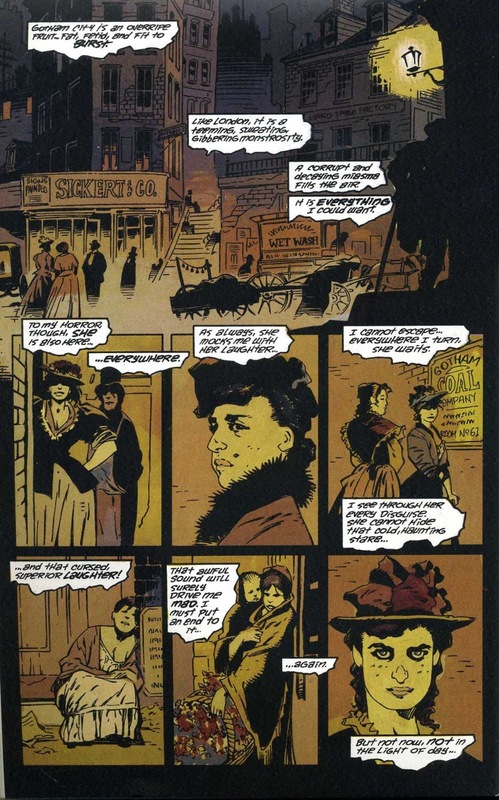 Mignola’s distinct linework evokes the Victorian time period beautifully, while Russell’s delicate inks add yet another layer to these images. Gotham City feels cluttered, dirty, a claustrophobic urban setting that will only grow larger and more congested over the next century. And the costume design for Batman is iconic and appropriate to the time period. This really is a beautiful comic wherein style matches setting and theme masterfully.